People of all age crowds are affectionate for passing their leisure by playing video games. Some of the video game accessories are designed to improve the gaming experience while some are necessary for playing. Joysticks are the most popular gaming accessories available in the market. 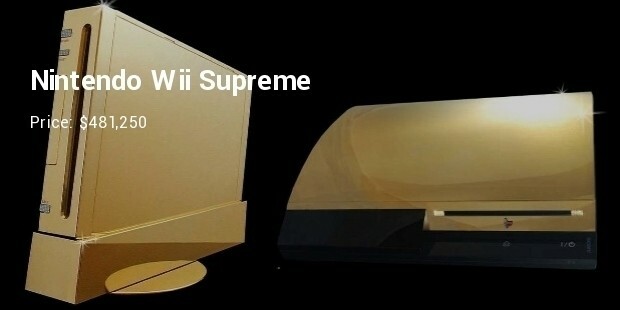 2.5 kilo pure gold of 22 karat finished single gaming system, Nintendo Wii Supreme is designed by Stuart Hughes of the eminent Goldstriker International. 19.5 karat diamond encrusting in the front button enhance the prettiness of the limited edition system. Over three months of hard work by the unrevealed legendary designer reciprocates into the legendary creation of Playstation. 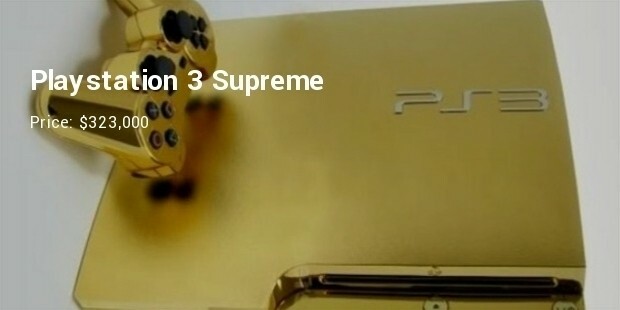 1.6 kilo gold enfolded exterior with 58 pieces of 0.5 karat diamond embellishment ensure the adequacy of this limited version Playstation 3 Supreme. 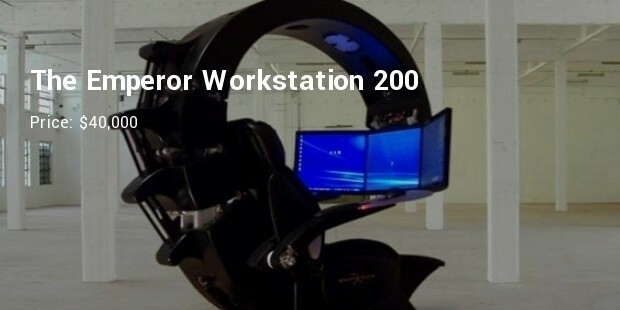 Office like giant size, the Emperor Workstation 200 have comfortable rawhide lounger sitting arrangement including Playstation 3 gaming system, inbuilt LCD monitor, self-emitting illumination, video recorder, earphones and 1080p DVD player. Those tinted characteristics guarantee the entire contentment to the user. This is the most expensive video game accessory that has appeared in the eBay in 2005. 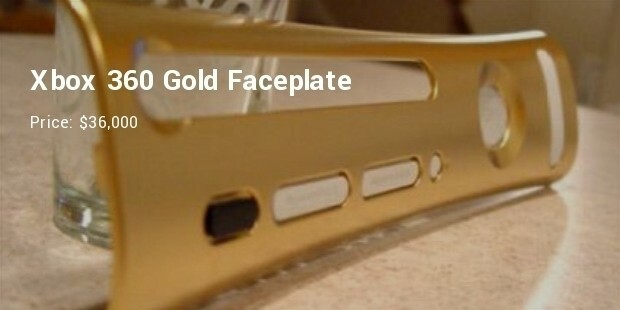 Layered by 24-karat 999.9 ounces gold replaceable front plate with apposite commemorative inscription is an absolute adjustment of a generic Xbox 360 in the most expensive one. This VRX is the most impressive and expensive game accessories. It features an Italian Sparco racing seat, along with customizable clubspirt accelerator, brake and clutch pedals. It comes with a rig that has locking caster wheels on the bottom to ease the positioning. This gaming accessory is available online. 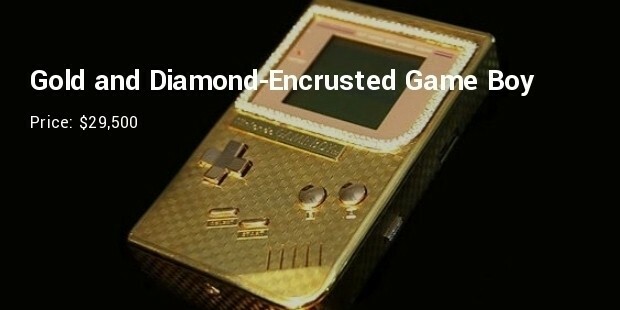 This gold and diamond crusted game accessory is the finest one. 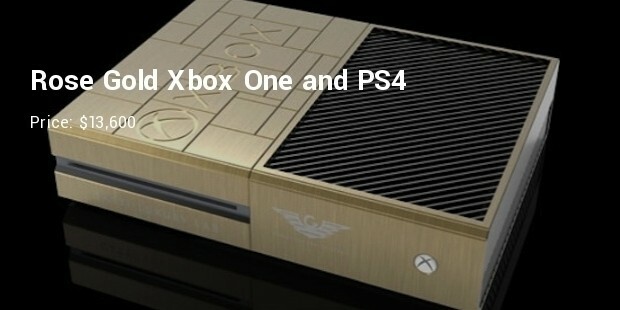 It carries 18k solid gold and diamond accent on the control buttons. The package includes original cables and extra game cartridges with original blue leather display. It is the most expensive game accessory to have. This PS4 is the pure gem and is world's first gold gaming console which was officially unveiled in UAE. It is designed by Italian jeweller Gatti, the console comes with special cases made from rose gold. It has been auctioned in shows and loved by many gamers. 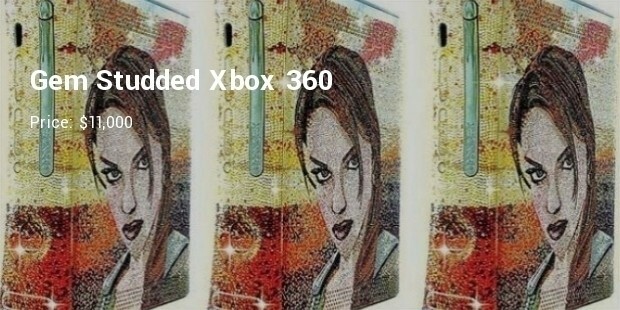 This Xbox 360 comes with 43,000 crystals and has Lara Croft's face plastered on the side. It not only looks glamorous and but is worth using for your next gaming session. 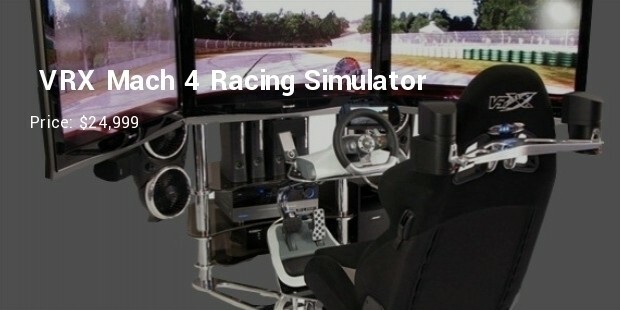 If you are earning a good pay check and are a game lover, then this is the one you must go for. 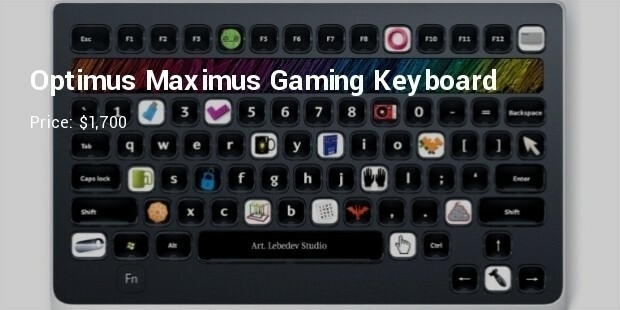 The optimus maximus comes with innovative OLED based keys that is completely customizable and has powerful configuration software. It also has in-built SD card slot letting you to transport custom layouts. The product is available with an expensive price tag. 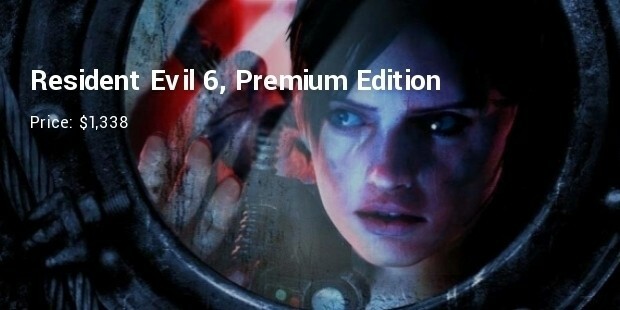 This premium edition of Resident Evil 6 is the most expensive game available. It includes set of four case covers and Leon Kennedy's funky new leather jacket. After its release it was widely loved by gamers, but hated the price tag. The gaming accessory still leads the highest price tag. From racing to strategies, all games need the console in accessories for being popular. Designer’s made elite accessories boost the delight of gaming. While experiencing most expensive accessories in your game system, the satisfaction of playing is defiantly out of the world.